Color(s): Blonde, black, black and tan. 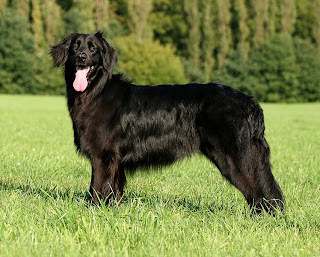 As the name “German Hovawart” suggests the breed originated in Germany and is quite huge and energetic. The name means “as estate guard dog”, and thus the breed is used as guard dog. It initially emerged in the Black Forest region and came to be known during the medieval times; however, it nearly became extinct but was again brought to live during the 1920s. It is very famous in their native country but is rare in other countries, especially United States. German Hovawart is a comparatively healthy breed and lives for 10 to 14 years. However, there are few cases of hip dysplasia and under active thyroid among some other dog disease that might occur rarely.